From Cam'ron's third album, 2002's "Come Home With Me" up to the 2003 double album debut "Diplomatic Immunity", you couldn't deny that there was Dip Set movement in hip hop. And when I think back to 2003, there were quite a few movements in hip hop (The Diplomats and G-Unit, just to name two). Before the movement, Cam'ron was one third of the short lived trio "Children Of The Corn", along with the late Big L and Mase. 1998 saw the release of his debut album "Confessions Of Fire", and at this point, not only did he make a little noise, but Jim Jones was also down since day one, while Juelz Santana would be added later. In this post, I'll be discussing the musical history of The Diplomats (some projects receiving more attention than others, respectively), starting with the two group albums. This album does hold a small nostalgic vibe with me, mostly because of how hot the track "Dipset Anthem" was at the time. I remember hearing this for the first time in 2003 through a good friend (Eddie/Adewale), and I did like what I heard, so much so that I copped the album several weeks later. With hindsight being 20/20, this was a very good album, but it clearly shouldn't have been a double album. Featuring great production by the Heatmakerz and others (I wonder what happened to them), Cam, Santana, and Jones never sounded better together, and this album brings that quite well. A few of the songs could've been left off, such as the not better than the original "Hey Ma (Remix)", the forgettable "Bout It Bout It Part III" featuring the awful Master P, and the overly long "Built This City". I know I only mentioned three songs, but this still would've been much better as a single album. The buzz surrounding the group died down a little at this point, but this album was decent overall. 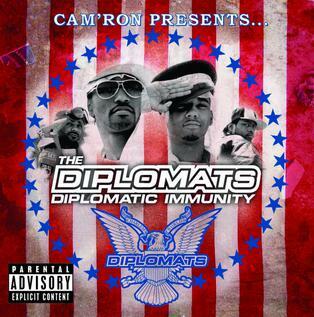 While not on the level of the first "Diplomatic Immunity" album, it has a few good songs. Three of the highlights on this one are "Take Em To Church", "Crunk Muzik", and "S.A.N.T.A.N.A." Rating- Probably 3 stars for this one. I remember being a little hyped for this one back in 1998. It's another one of those albums that my cousin Andre got before I did, but it was all good! When I first played it, I thought it was decent, but nothing spectacular. I recently listened it, and while I still feel it's decent, it hasn't aged all that well, even with some of Cam's most personal material to date on this album. Lyrically he's very good, but the production was a little too sample heavy for my tastes, and I feel the album would've been much better with top notch production. Also, the song "Death" has to be among one of the best songs he's ever done, as he envisions himself having a conversation with "death" himself, and a sample from The Notorious BIG's "Suidical Thoughts" matches it perfectly. There was another song that should've made this album, which was a tight duet with DMX in the form of "Pull It". Check it out. Overall, good debut, but he was capable of more. I initially bought this album when it first came out, and at the time I thought it was one of the most boring albums I ever heard, and it would take YEARS before I revisited it. Speaking of revisiting, I wouldn't do so till early 2010, and I'm not sure what I was thinking back in 2000. It holds up slightly well today and I like it more than his debut. Lyrically he was still the same and the production was better this time around. It may be his most underrated album. It took me a while to cop this album, and after a friend of mine named Mike hyped it up like crazy, my anticipation grew, especially with "Oh Boy" blazing the radio at this point. I bought the album in the summer of 2002, and while it was another very good album, it wasn't as awesome as Mike made it out to be, even with it being his debut on Roc-A-Fella Records. This is often referred to as his best, and I may agree with that. This is another one I recently listened to, and it marks another very good album, although it suffered due to a lack of promotion, which also led to his (requested) release from Roc-A-Fella. I know I mentioned that "S.D.E" may be his most underrated album, but "Purple Haze" gives it a run for its money. His next two albums, 2006's "Killa Season" and 2009's "Crime Pays" received less buzz and promotion than his previous albums. They were ok, but nothing special. For those familiar with Cam'ron and Vado's "Boss of all Bosses" mixtape series with DJ Drama, this was a somewhat anticipated release, which came out VERY quietly in 2011. I first listened to it via Spotify, and admittedly I wasn't impressed the first time around, but after listening to it the second time, it grew on me a little more. They have very good chemistry together, bringing more or less the same vibes from the "Boss of all Bosses" series. Overall, it's a very good, albeit slept on, album. Most people I know really don't care for Jim Jones in any form, however, I consider myself a fan, a sort of guilty pleasure. He has made some catchy hits in his day, and for the most part, those hits are what sold me on his albums, in which I bought all four of them the same day in early 2010. More of the "Capo" album later. This was a decent debut, but nothing special. In his own way, he would get better from here, although that's not saying much, respectively. Highlights on this album include the three takes of "Capo Status", "Certified Gangstas" (featuring Cam'ron & Bezel), "End Of The Road" (featuring Bun B & T.I. ), and "Crunk Muzik". This right here is Jim Jones' best and most successful album to date, featuring his biggest hit (We Fly High), best song ever (Emotionless), not to mention his best lyrically over very good production. Including "We Fly High" and "Emotionless", other highlights include "Bright Lights, Big City" and "Reppin Time". Although "Pop Champagne" was a hit (late 2008 going into 2009), this was about as forgettable as they come. 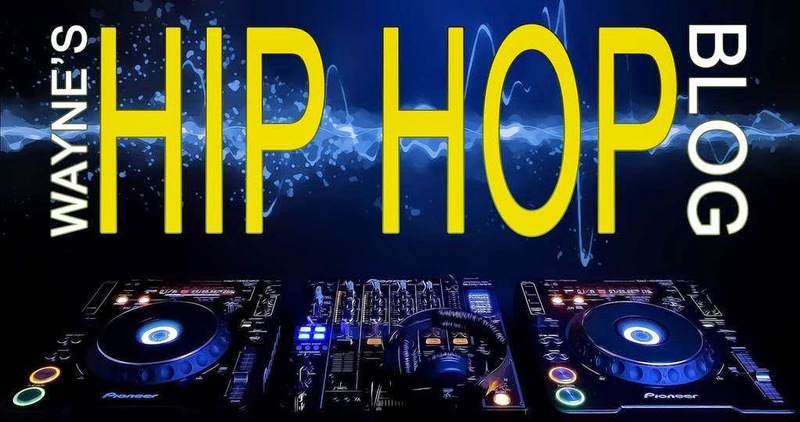 Even though this is not saying much, "Pop Champagne", "How To Be A Boss" (featuring Busta Rhymes, Ludacris, & NOE), "Frenemies", and "Precious" (featuring Ryan Leslie) saves this from a disaster, not to mention the track "Na Na Nana Na Na", which consists of a tight beat, repetitive subject matter, and a DUMB hook. SMH, this was completely unacceptable, even by Jim Jones standards. I remember listening to this album (via Spotify) last year, and it was an hour or so I'll never get back. Aside from the guest appearances by the likes of The Game, Raekwon, Prodigy, and Cam'ron (in which they completely steal the show from Jones), there's NOTHING worth anyone's time on this album. And to think this was going to be a "blind buy" for me, the Target Deluxe Edition no less. It's been all but forgotten, but at one point, they did have a small falling out with each other, although Santana and Jones still collaborated with each other. Rumors of another Diplomats album with an accompanying reunion were all but shot down, until 2010 when they put their differences aside and reunited. 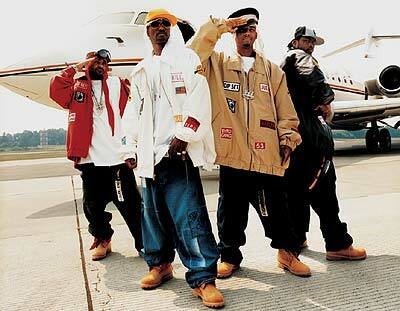 They released two singles to date since that reunion, in the form of "Under Construction" and "Salute", and neither of those were able to capture that initial Dipset sound. Of all the albums mentioned, the only one to have a release date in 2012 (which I can't recall) is the Cam & Vado album, but that date came and went with no release. Speaking of Cam, I can see his albums being released at some point, but I can't say the same for the rest of the crew. The third installment of "Diplomatic Immunity" may never see the light of day, Santana's third album has been pushed back SO many times, and Jones has been busy with reality TV projects, notably the first and second seasons of "Love & Hip Hop" and the new "Chrissy & Jones" special on VH1 with he and his fiance, so I don't see Jones making any new material any time soon (and after that awful "Capo", he should stay away from the booth for a long time). On a small note, I don't think any of those projects are being anticipated by anyone. Either way, with all of the success and dope singles over the years, as a crew and solo wise, I think we may all remember that initial Dipset movement from 2003, and even if they don't link back up for another album together, we'll have this material, which is a good thing, and as long as no more beef comes in between them, that's a good thing also.